The RV-8523-C3 is supplied on tape and reel. 1k or 3k pcs per reel are the standard T&R pack sizes for this product. Partial quantities may be supplied on tape (no reel), or in bulk. 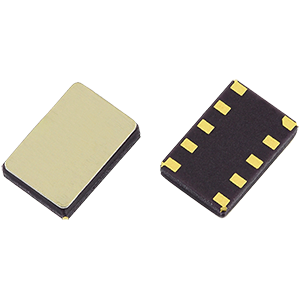 If you're looking for an all-in-one solution at low supply voltages with good current consumption performance the RV-8523-C3 fits the bill. 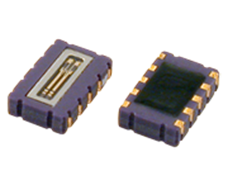 With supply voltages as low as 1.2V, and current consumption as low as only 130nA in time-keeping mode the RV-8523-C3 module can save time and procurement costs. Featuring I2C bus interface and good shock and vibration performance, this module is also available with AEC-Q200 qualification and full PPAP documentation on request. If you're looking for something with cutting-edge power consumption you may wish to consider the RV-1805-C3, or for an ultra-miniature package with highly competitive pricing the RV-4162-C7. In order to align ourselves with industry-standard nomenclature the name of this product has been revised from RV8523C3 to RV-8523-C3. There have been no changes to form, fit or function of the component. You can find more information in our product change notice PCN19032005321 here. To request a quotation for the RV-8523-C3 please use the configurable options form to choose the options you require and then submit your configured product to our team. Our expert advisers are always happy to help with your requirements and can be contacted on +44 1460 256 100 or at sales@golledge.com. Our RV-8523-C3 is included in the following design libraries. Click to download the library of your choice. The RV-8523-C3 is manufactured by Micro Crystal and stocked and supplied by Golledge. An evaluation/development board for the RV-8523-C3 is also available on request. Please contact our expert advisers at sales@golledge.com for more information.